The Helis Foundation will reprise its “Art & AC” partnership with local FOX affiliate WVUE’s meteorological team. During the month of August, when the temperature is at or above 93 degrees, New Orleans’ three largest arts institutions (New Orleans Museum of Art, Ogden Museum of Southern Art, and Contemporary Arts Center) will open their doors for free the next day to Louisiana residents, courtesy of The Helis Foundation. Last year, the award-winning initiative saw 1,500 people visit the museums over three days. In addition to air conditioning and blockbuster art exhibitions, visitors can stay cool with free snoballs from Imperial Woodpecker, hand fans, and bottles of water at all museums. This year, visitors will also have the chance to take home a piece of art by posting on social media from a participating museum with the hashtag #ArtForAllNOLA for a chance to win one of two prints of the photograph “NOLA Color Study” by David Armentor for St. Veronica’s Photography. 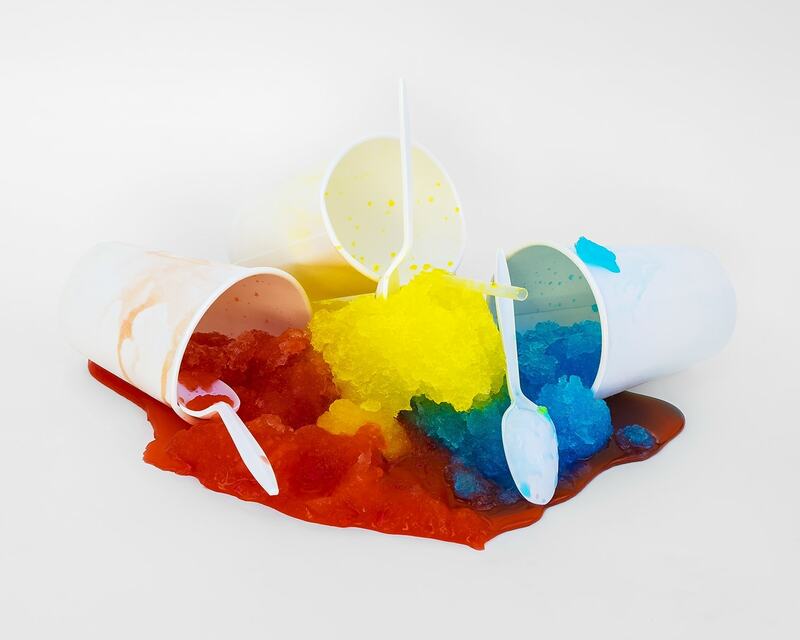 The colorful photograph, which serves as the emblem of this year’s “Art & AC,” depicts three sno-balls melting on a white background.